Buying an outdoor TV is a big purchase. There are many important things to consider like TV mounts and other accessories. 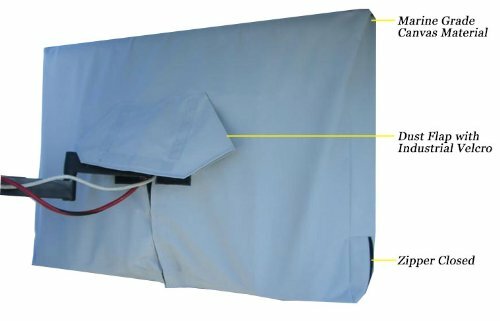 The most important accessory that every outdoor TV should have is an outdoor TV cover. Many people do a lot of research before they choose and purchase a TV, and the same due diligence should be applied to choosing a cover to protect it from the elements. To save you time and hassle, we have done most of the research and developed this buyer’s guide for the 10 best outdoor TV covers. Do you want it to have accessory pockets? Some TV manufacturer specifications are very close approximations. Measure your TV yourself before deciding on a size. 4. 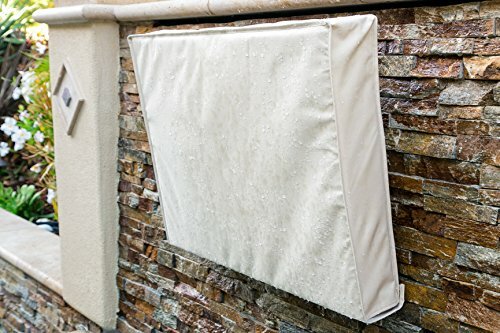 Stronghold Accessories Outdoor TV Cover 32" Protects from from rain, mildew, moisture, animals, snow, wind, sunlight, sea water, bird droppings. 7. 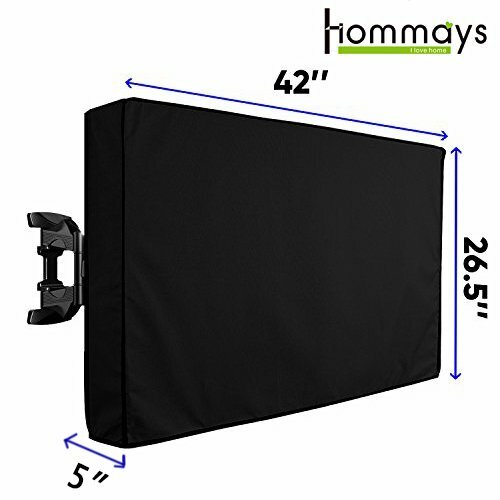 HOMMAYS Outdoor TV Cover 40”-42” Measuring 42 x 26.5 x 4.5 inches, it is compatible with double wall mounts and single walls mount 39"-44"
Durable and eco-friendly, this cover is made from supreme quality oxford fabric. It has a waterproof coating, durable stitching and is engineered for longtime outdoor protection. The 3-way, Velcro flap works with multiple bracket types and is easy to setup and remove on all types of outdoor TV setups. With a high quality bottom seal, it provides 360 degree protection from harsh weather conditions, mold, mildew, dust, insects and other wildlife. It has an accessory pocket with an effective cover and comes in 3 different sizes ranging from 40” to 55”. As a bestseller on Amazon, this cover has fantastic user feedback. Reviewers like its ease of use and high quality construction. Many users reported this cover holding up in many types of weather extremes. 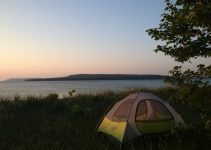 Based on user reviews, this cover seems to be of the highest quality with incredible longevity and resilient to many harsh outdoor factors. This universal protector cover is weatherproof and fits most brands of 40” – 43″ LCD, LED and plasma TV’s. The best thing about this cover is that the bottom Velcro is an inside seal that better protects your TV from water. 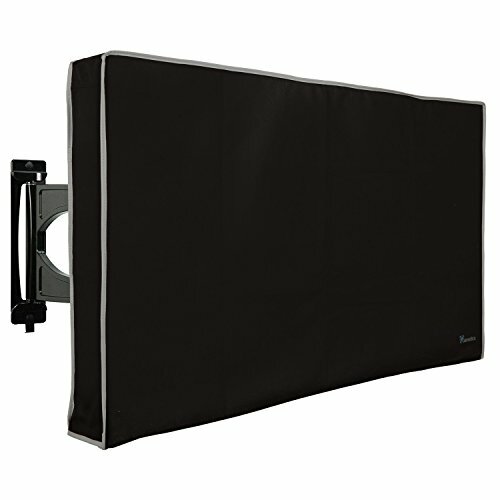 With an inside Velcro seal, the Kolife Heavy Duty TV Cover provides 360 degrees of protection for your TV. It is made from high quality 300D Oxford polyester fabric and is PVC free. It will protect your outdoor TV from rain, snow, wind, dust, mold and mildew. It comes in 5 different sizes ranging for TV sizes ranging from 28” to 55”. As a #1 New Release on Amazon, this cover has great reviews across the board for its easy setup and worry free protection. Designed to protect your TV from all weather conditions, this cover is made with heavy duty, durable 500x300D high density polyester with high elasticity and a water resistant PVC coating. With reinforced stitching and industrial grade Velcro, this cover is designed to retain its shape and provide your TV with all-year protection. This cover is UV resistant, waterproof, mold and mildew resistant, and dust and insect proof. It is compatible with a wide variety flat screen TVs and comes in 8 different sizes fitting TVs ranging from 32” to 70”. It comes in a sleek black design with an easy, 3 way flap setup on the back that will work with almost any wall mount and provide 360 degree protection. The back also has one weather proof remote control pocket with a Velcro closure. This product has outstanding user feedback on Amazon. From durability to performance, it got high marks with just about every feature. Made from high quality, marine grade material, this cover protects your television from rain, snow, mildew, moisture, animals, wind, sunlight, sea water and bird droppings for year round protection. With a bottom velcro flap to create a seal around the bottom of your television, this protector provides a 360 degree seal for the entire front, back and sides of the TV. It fits most 32 inch flat screen televisions of any brand and most wall mounts. It also has a weatherproof, sealable pocket for your TV remote. Engineered to last, Stronghold Accessories backs this cover with a 2 year, no-questions-asked replacement guarantee. Reviews for this cover are mostly positive with people who use this product saying that it is worth every penny. This cover is reported to have a perfect fit, outstanding weather resistance and a dependable, tight seal. This cover is praised by many users as providing excellent protection, looking sleek, having a nice fit and being made out of a soft and durable fabric. It also has a soft inner lining to protect your TV screen from scratches. It works with 3D, LCD, LED, flat and plasma TVs from a wide variety of brands. Reviewers also loved the very effective bottom Velcro closure that gives your TV 360 degree protection. It is compatible with most mounts and stands, and is engineered to protect your TV all-year from mold, mildew, moisture and the harshest weather from winter and summer. It has reinforced stitching that helps it retain its shape and comes in 6 different sizes ranging from 32” to 65”. 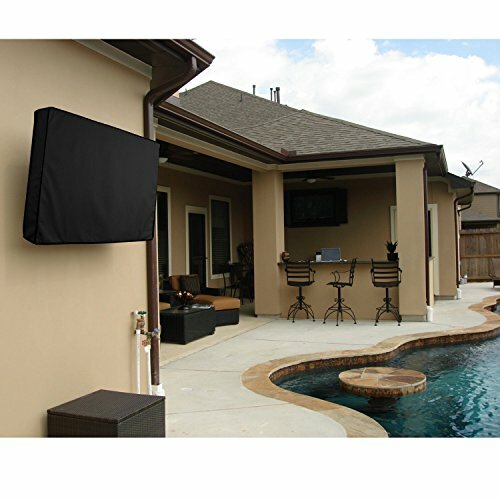 Made from marine grade canvas and designed for TVs with an articulating bracket of freestanding applications, this cover provides superior protection for a wide variety of outdoor TV setups. It is mildew, water and sun resistant, and it comes in a light grey color that keeps your TV cool in the sun. It has a TV remote pocket, and it comes in 8 different sizes ranging from 29” to 70”. One of the best features of this cover is that it has a soft, non scratch interior to protect your screen. This cover has many popular features with reviewers—like its dust flap with industrial velcro and bottom zipper closure. People who own this cover report that it works great in very harsh weather. Many people also liked its nice fit and longevity. Plenty of reviewers on Amazon praised how this cover is still going strong after 2 to 4 years later. This sleek black cover is made from high quality, heavy duty oxford polyester with PVC lining, and it has a soft inner lining that will protect your screen from scratches. It is easy to install and works with single and double bracket mounts. It has a large back flap for an entirely closed back and 100 percent closed bottom. It is all-season weatherproof, dust proof, UV resistant and windproof. It is also guaranteed to protect your TV from bugs and wildlife. It comes with a weatherproof pocket that will protect your remote control from the elements. It will fit most flatscreen HDTVs sizes 39” to 44”. HOMMAYS promises 100% customer satisfaction with 1 month full money back and 3 years guarantee. People who use this cover report that it performs as promised. It holds up to the heaviest rainstorms and protects from insects and wildlife. 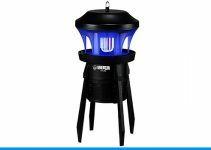 It is well constructed with a durable feel, and many reviewers like that it looks nice in their outdoor area when their TV is not in use. 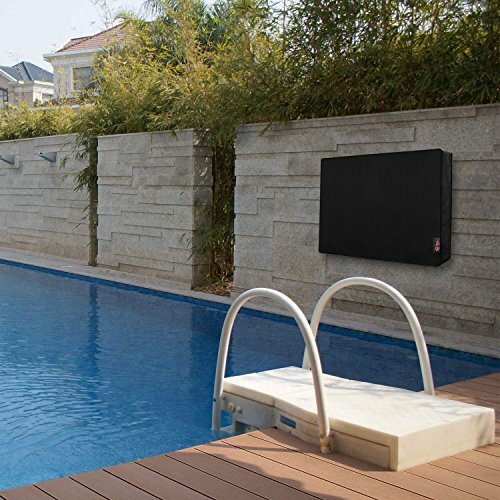 Constructed with top quality, waterproof Oxford polyester and lock stitched to prevent fraying, this cover is engineered to protect your outdoor TV for a very long time. It comes in black and has industrial strength Velcro to ensure easy installation and effective seals. It includes a weatherproof accessory pocket and comes in 3 different sizes ranging from 30” to 52”. 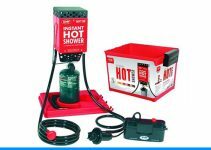 It is designed for year-round protection from harsh weather, dust and wildlife. People who have bought this cover gave it pretty positive reviews. It does a fantastic job at keeping outdoor TVs clean and protected. There were some reviewers who said the cover was a little large for their TV, but that was far better than being too small. Users were generally happy with the efficacy of this cover and only had cosmetic complaints. The color seems to have a tendency to fade over time. Made of the highest quality, this cover has double-stitched edges that provides 100 percent coverage for year-round protection. 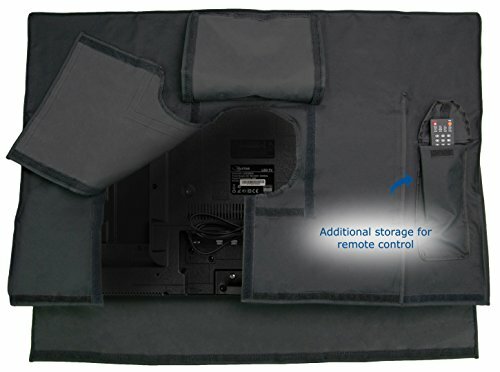 This cover protects your tv from water, all-season weather, mist, condensation, heat, sunlight, dust, bugs and any other elements that can damage your TV. It has a soft interior to protect your screen and comes with a free microfibre cloth to help you keep your outdoor TV clean when the cover is not in use. It comes standard with a weatherproof and sealable pocket for your TV remote. It is designed for super easy and quick installation with Velcro openings for double and single mount brackets. It has bigger flaps for better coverage and a very effective bottom seal. Clicks guarantees this cover to last with a 3 years no-questions-asked replacement guarantee. The user feedback on this cover is positive across the board. Users report that it is durable and made with a thick, high quality material that seems to protect their TVs from everything. People also like its sleek design that doesn’t standout when in use in their outdoor living areas. 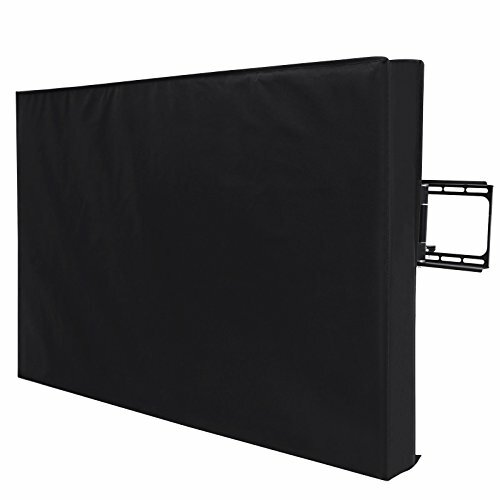 Another TV cover from Stronghold Accesories, this is also made from high quality, marine grade material that protects your television from all outdoor elements. It has 360 degree protection. This cover comes in 7 different sizes ranging from 32” to 60”. It comes in black, beige and gray with a weatherproof, sealable pocket for your TV remote. Besides having more options in sizes and colors, what sets this cover apart from the other Stronghold Accessories cover on our list is the much more versatile mount flaps that make it compatible with almost every type of bracket and stand. 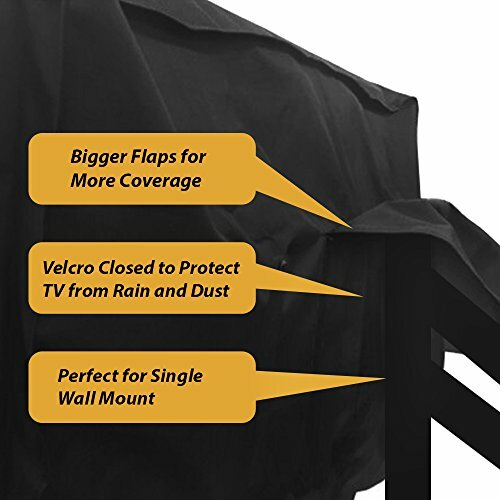 Reviews for this cover are mostly positive with people who use this product reporting that it protects their TVs from torrential downpours and winds as high as 70 mph. Although some reviewers report that the fit is a little big, others like the extra space for protecting bulky wires. They also report that the weatherproof pocket is a very decent size to fit multiple remotes and accessories.